I appreciate quality paper. In fact, I almost took a job with a paper company upon graduating college. Thankfully I didn’t, because I would have probably turned into Michael Scott from The Office. Seriously, if you’re going to take the time to send a handwritten note to someone, it’s worth investing in a paper with personality. Here are some of the paper products that I’ve come across through the Year of Letters. I am a huge fan of Paper Source and get most of my paper and envelopes there. With an awe-inspiring variety of colors, you can mix and match to create the color combination that you prefer. They also have a nice selection of sizes, although most of what I use is A2 and 4 bar. You’ll notice that a lot of my cards are accented with stamps, embossing, washi tape, envelope liners, etc. You can get everything you need to do all of that here, so clear some time on your calendar if you’re planning on visiting their store. If you are buying online or in your local stationery store, here are some additional options. 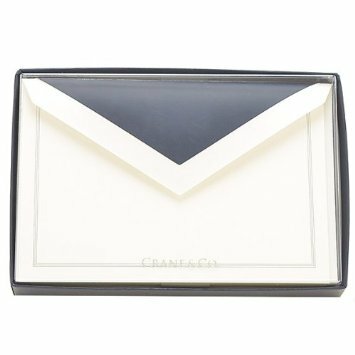 Crane & Co. Navy Triple Hairline Cards on Pearl White – These are great correspondence cards. Made of 98 lb. 100% cotton, these are perfect fro sending a nice thank you note or just letting someone know that you are thinking of them. 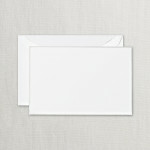 The matching envelopes are sharp as well with bold navy lining. Crane & Co. Silver Bordered Pearl White Correspondence Cards – These are also a great choice for correspondence cards. 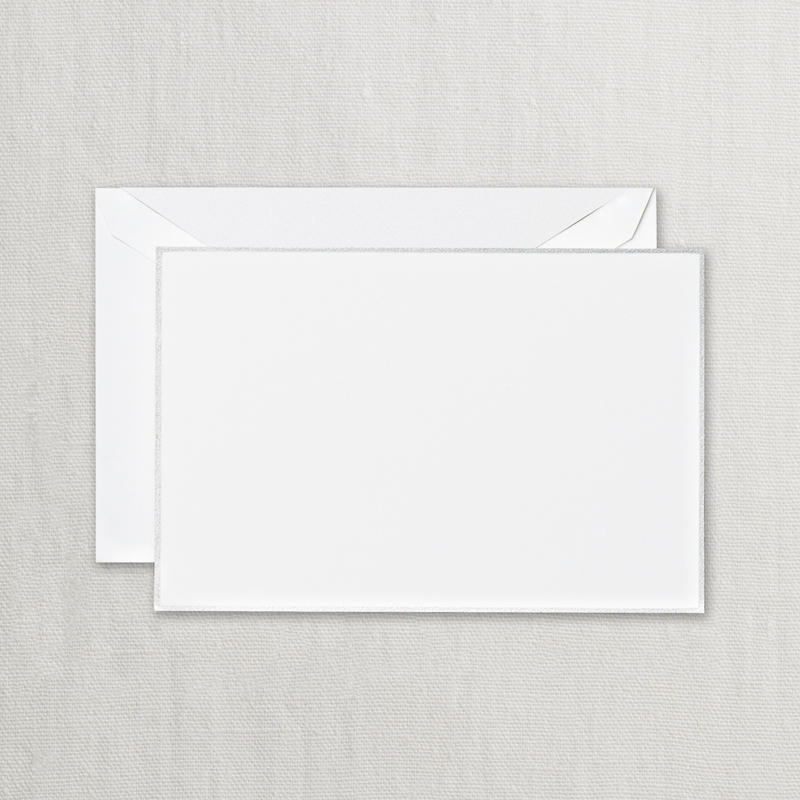 The silver border adds an elegant yet subtle finish. This is possibly a good choice for someone who still doesn’t know exactly what they want but want to dip their toe into a nicer paper for thank-yous and notes.